"Oakland is the Brooklyn of the Bay Area - it’s where the artists live. 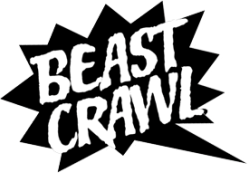 To be part of Beast Crawl is to crawl among giants." Know of a story about Beast Crawl 2013 that we missed? Let us know and we'll post it here for everyone to see. And check out the archives for info on all past festivals!